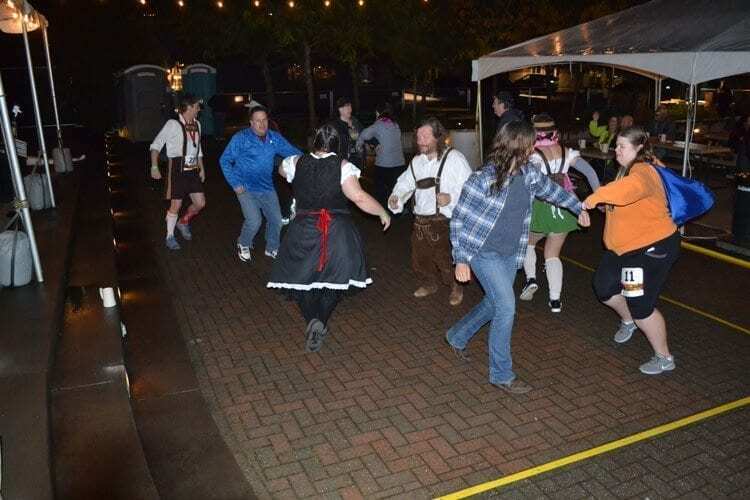 WASHOUGAL — Washougal’s Oktoberfest, now in its 5th year, is returning with family fun on Fri., Sept. 29 and Sat., Sept. 30, from 4-10 p.m. each day. Located in the city’s downtown Reflection Plaza at 1703 Main Street, the festival will feature music, authentic German foods, local brews and cider. Admission to the family festival and dance area (kids 12-20 and adults) is just $5 per person. Admission to the beer garden area is $13 and includes a commemorative mug and your first beverage. All event profits go to local nonprofits, including Columbia River Gorge relief efforts. 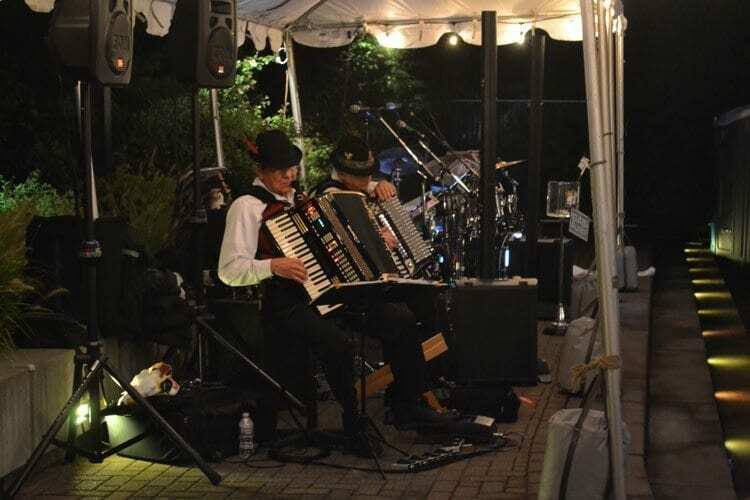 On Friday evening, attendees can enjoy some good Bavarian fun with live accordion music with sets alternating with a DJ spinning dance music. Saturday night will be all DJ music. The beer garden will feature favorite brews from two of Washougal’s breweries; 54-40 Brewing, and Doomsday Brewing. Cider will be poured by Jester and Judge from nearby Stevenson. In addition to these local breweries, Oktoberfest will also feature beer from Thunder Island Brewing in Cascade Locks. The brewery and other city businesses have been hit hard financially by the Eagle Creek fire. In the spirit of community, the brewery and other merchants will be included in the event. Cascade Locks merchants will be setting up a booth to sell gift cards and T-shirts to help offset some of their losses from the fire shut down. Show Cascade Locks your support by trying one of their brews or purchasing a gift card. Camas Lions will be providing a taste of Germany, serving up traditional Oktoberfest food for the event. The menu will include favorites such as German brats, big pretzels, chicken schnitzel, bacon wrapped hot dogs, hot red cabbage salad and more. Proceeds from the food will benefits the Lion’s charitable projects. Through a donation from Columbia Litho of Camas, kids ages 12 and under will be admitted free and will get a punch card that is good for a free hot dog and ice cream bar. Attendees under 21 are allowed from 4-8 p.m..
Additional sponsors, iHeartRadio and Toyota, will be onsite as well featuring two of Toyota’s popular cars, the Rav4 and the 2018 Camry, as well as family friendly activities. 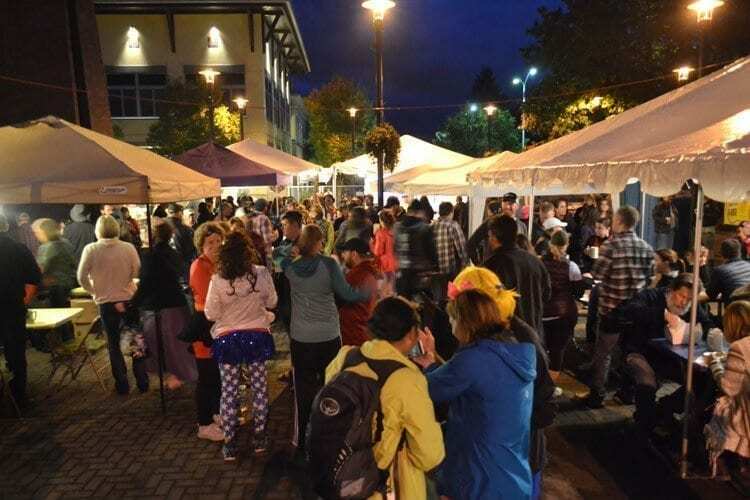 In conjunction with Oktoberfest, Washougal will be host to the 15K Superhero Relay presented by Get Bold Events on Sat., Sept. 30 starting at 5 p.m. Teams of three will compete with each runner completing a fast 5k course along the Dike Trail, starting from the Pendleton parking lot. Prize money will be awarded to the fastest team. New this year is a non-relay 10K and a Superkids 1K Run (12 & under). A costume contest for the best dressed superhero team will be held at Oktoberfest that evening. The run benefits the Washougal High School Cross Country Team. Registration is at http://www.superherorelay.com/ . Proceeds from the event will benefit the Camas Lions, Washougal Lions, the Downtown Washougal Association and Columbia Gorge Relief efforts. Volunteers are needed and should contact DWAVolunteers@gmail.com to sign up. Tourism support was provided by the city of Washougal hotel/motel tax funds.